Bumbo chairs are popular little items. My local Facebook buy and sell page always has them up for sale or people looking to buy them. They’re popular for good reason: little babies who can’t sit up on their own yet but prefer to be upright can be… without mom or dad having to hold them continuously. I loved my Bumbo. 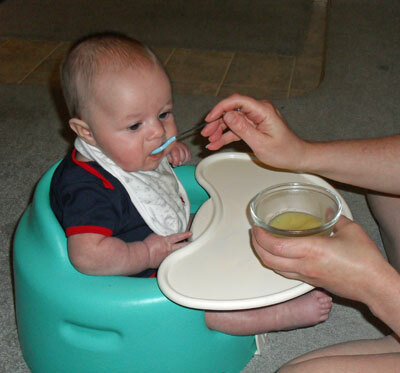 It’s what we used for Norton when we first started feeding him solids in lieu of a high chair. We’d sit on the living room floor and feed him, one parent bravely and carefully feeding him (and keeping the puppies at bay) while the other manned the camera. They’re wonderful little devices… if and only if parents keep infant safety in mind. You see, it seems that infant safety is the biggest issue with Bumbo seats. Infant safety isn’t an issue because of the Bumbo seat itself, of course. The issue arises because of people not actually following the directions.